TGIF! Happy Friday, friends! It has been a cold and snowy week here in Lex, but I’m not complaining:) I’m so happy to see some of the fluffy white stuff. 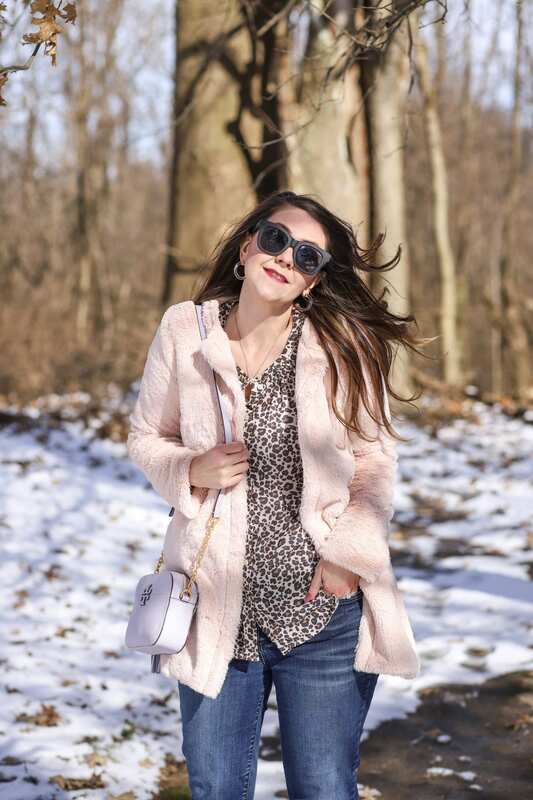 I’ve been enjoying all the cozy outfits I’ve been able to wear, including today’s ultra-feminine pastel and leopard look featuring this faux fur coat. Technically, today’s outfit is a DOUBLE wardrobe re-wear! 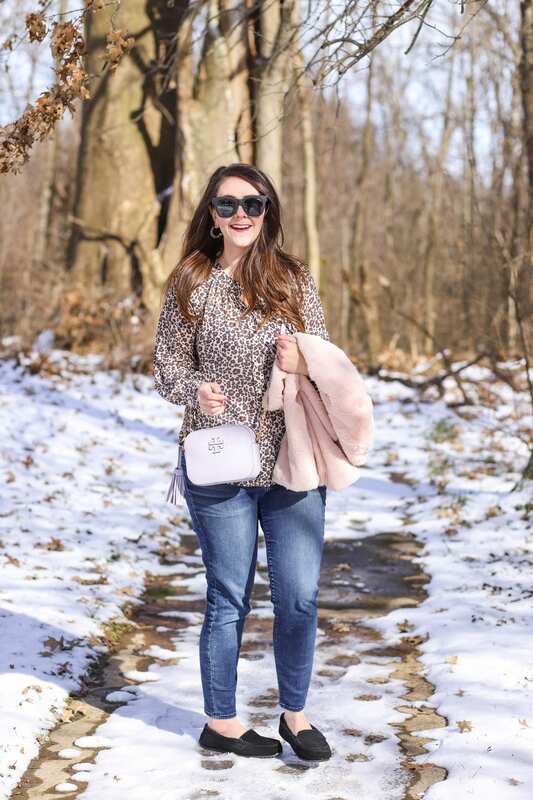 You can see how I styled the leopard print top before here and how I styled my blush faux fur coat here. Now that spring is just around the corner, I’ve flipped a switch on my wardrobe. 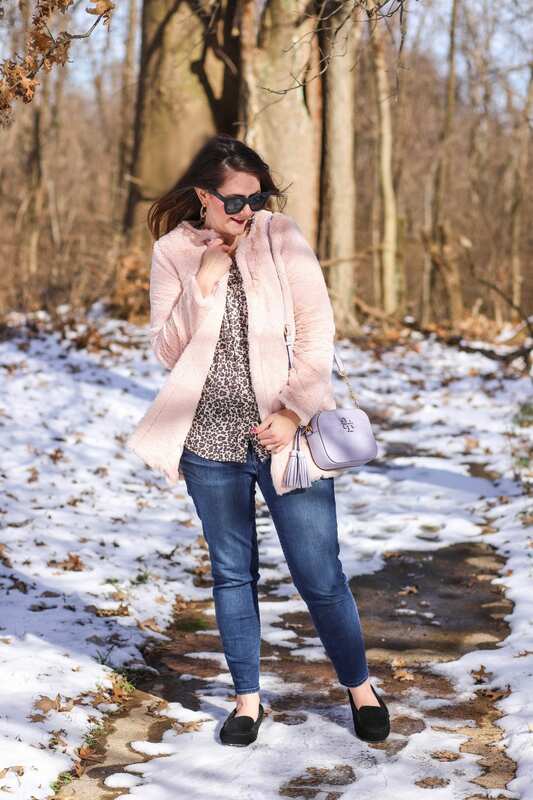 I’m migrating from jewel tones to pastels. 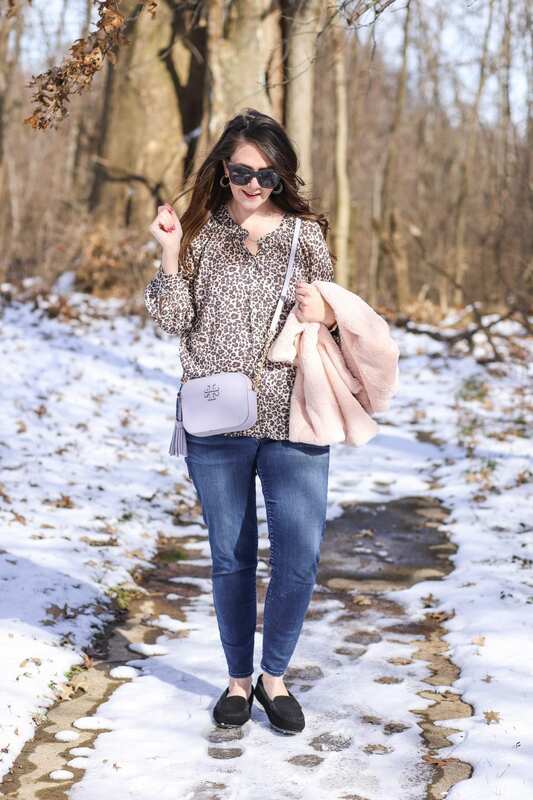 My leopard top looks beautiful layered under the blush jacket and with the lavender bag. It’s over-the-top feminine, but I’ve brought it back down to earth by paring it with jeans and mocs. 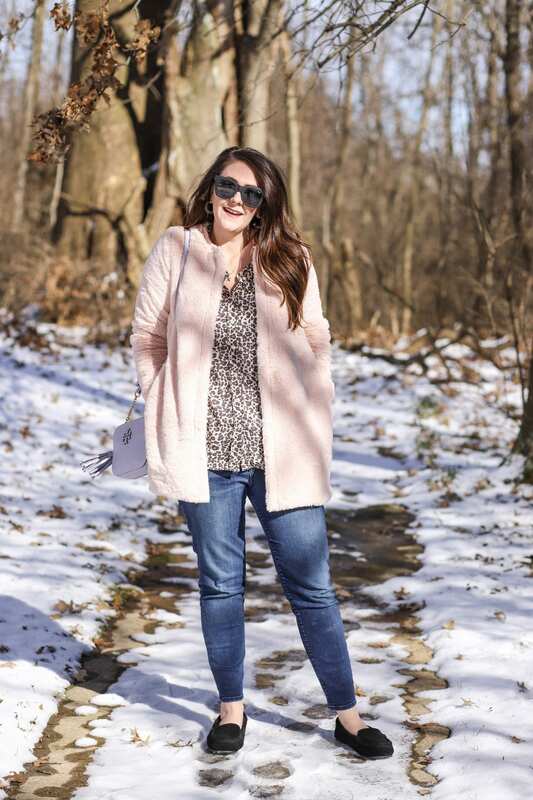 I have adored cozy moccasins for years now, and these are SUCH a steal! They’re on clearance right now for $9.98. Considering they’re a dupe for a $100 pair, even the original $20 price tag was a steal. If you’re in-between sizes, size up to allow a little extra room for the furry insides. Oh, and let’s talk about one of this spring’s hottest jewelry trends–lucite jewelry. Lucite jewelry is see through. 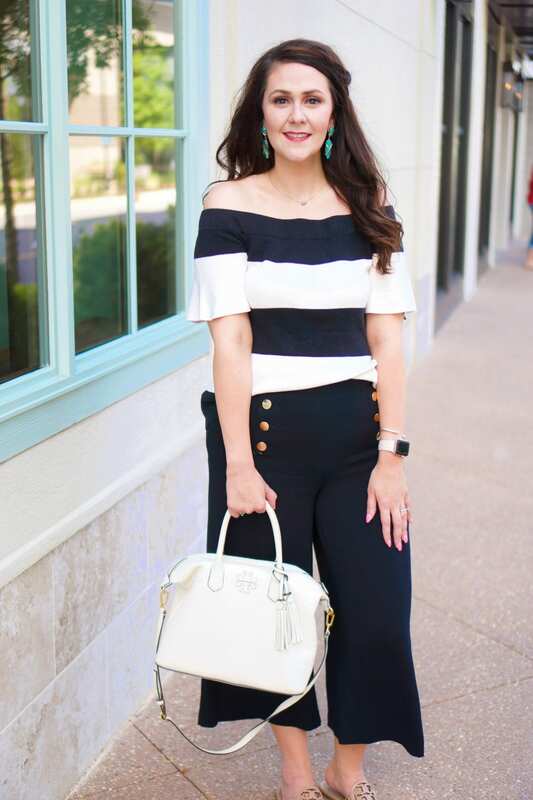 My earrings are Sugarfix (#baublebarattarget), but aren’t online. These are so pretty thanks to the gold caps on the very end of the hoops. And when I say they go with everything, I mean EVERYTHING because they’re clear. I’ve had some requests on a post of Spring accessories, so I’m working on that now.